Think of today’s post as little peek into my kitchen pantry. Except with prettier pictures, because my fridge is a hot mess right now. I have an 8-inch London Fog cake taking up the entire top shelf, a random assortment of leftovers, and an alarming amount of cheese…among other things. But really though, who doesn’t like looking in people’s fridge or pantries? I’ve always been sort of oddly fascinated by it. It can say a lot about a person. Warning: if I go to your house or apartment, I’ll probably look in your fridge at some point. I’m nosy. Hey! Let’s be friends! 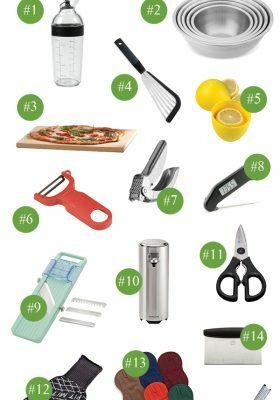 A few weeks ago, I read this fun post over on Cup of Jo called ‘5 Things In My Kitchen I’d Never Be Caught Without.’ It inspired me to create my own version to share with you! Except my version includes ten items, because I couldn’t whittle it down to just five. In fact, as I’m typing this sentence, I realized I forgot two major essentials (milk + eggs) —> this is hard. 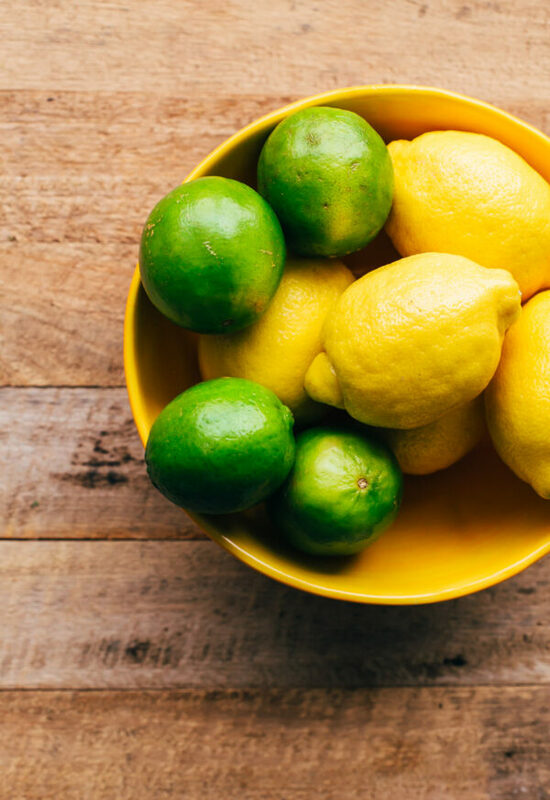 In case you haven’t noticed by the large number of lemon-centric recipes on this blog, I’m a bit of a lemon fanatic. I go through an alarming quantity (this seems to be a trend) of them and grab a bag at the grocery store practically every week. If you ever see me at the grocery store, I’m probably obsessively picking over the lemons to find the ones with the thinnest rinds (more juice!). I make a batch of salad vinaigrette with fresh lemon juice, add lemon wedges to sparkling water and beer (yes, even beers that probably shouldn’t be enjoyed with lemon – I’m the worst! 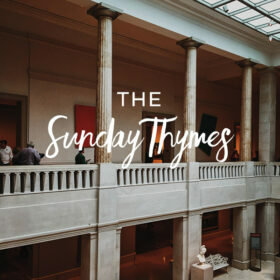 ), bake with them, use them in marinades, and squeeze lemon juice on seafood, breaded chicken, and wilted greens. Can’t live without ’em. I go through a lot of limes too, but in the end, those didn’t make the cut. Oh, and I always store them in the fridge. I also go through a lot of fresh garlic. I don’t think I ever run out of the stuff, because I almost always buy 1 to 2 heads of it every time I’m at the store. Mostly out of anxiety that I’m going to run out of it one day while I’m making dinner. 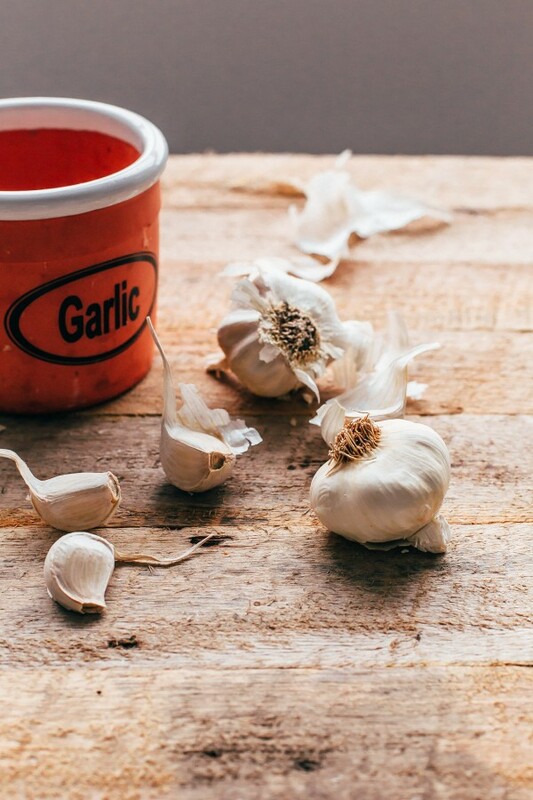 Life rule: add an extra 2 to 3 cloves of garlic to practically any recipe (within reason, of course) that calls for garlic. This meme defines my life. You might not have the best breath in the room, but honestly…who cares. Garlic is delicious. I keep it in one of those vented stoneware garlic containers on my kitchen countertop. Obviously, salt. 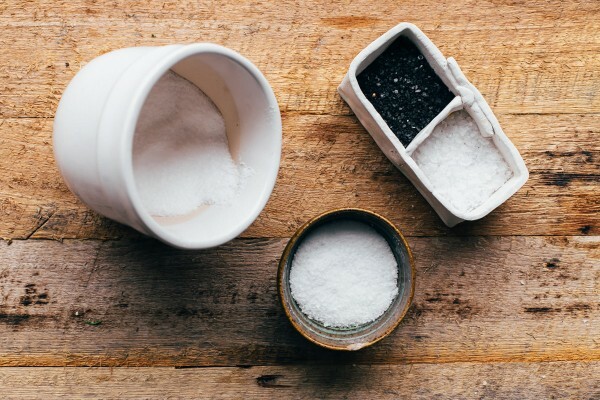 In fact, if I had to list my kitchen pantry essentials in order of importance, salt would be pretty much at the top of the list. You guys already know my feelings on salt and why it matters so much, so I won’t bore you with that information again. I keep a large box of my favorite kosher salt at the top of my coat closet (my pantry storage is lacking) and refill my salt pig regularly. Cooking tip: keep a small bowl (it doesn’t have to be a fancy salt pig) of cooking salt near your cooktop for easy pinching. 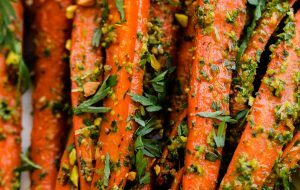 It serves as a reminder to season as you cook – so important – and is so much better, easier, and more practical than salt grinders/shakers. I couldn’t live without this cheese. That’s pretty much all I’ll say about that. 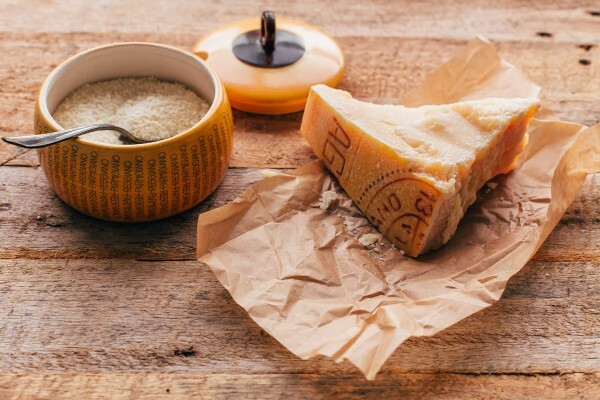 I refuse, by principle, to call it parmesan, because “parmesan” (don’t even get me started on those green containers) and parmigiano-reggiano are two very different things. One of my life goals is to go on of those parmigiano-reggiano tours in Italy. 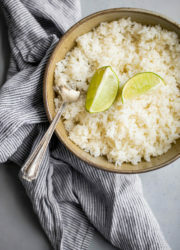 Tip: I prefer to grate it myself, because store-bought grated parmesan is usually older (and more dried out) and generally priced higher per pound. Most parmigiano at the store comes wrapped in flimsy, thin plastic wrap. I almost always re-wrap it once I get back home in either a) a tight, double layer of plastic wrap, b) if its a big hunk of cheese: wax paper, followed by aluminum foil, or c) these fancy Bee’s Wraps that I’ve been loving lately. Oh, and I never buy Parmigiano at Whole Foods, because it is horribly over-priced. Costco is a great place to find it at a great price! Also, don’t throw out the rinds. Another pantry staple that I can’t live without! I keep several cans of canned tomatoes on hand, because I use them in so many recipes and everyday dishes. 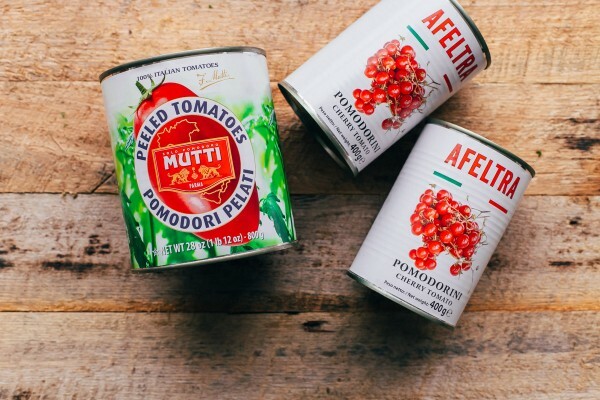 When I’m making homemade pizza or pasta sauce, I prefer to spring for the San Marzano canned tomatoes, but I also love canned Italian plum tomatoes (Pomi is a favorite brand of mine and Trader Joe’s plum tomatoes are good too!). I’ve also been loving these canned cherry tomatoes, which I discovered at Eataly a few months ago. I love to throw them in a skillet for a super fast tomato sauce – and finish the whole thing off with fresh basil! Confession: I don’t make homemade stock or broth nearly enough. 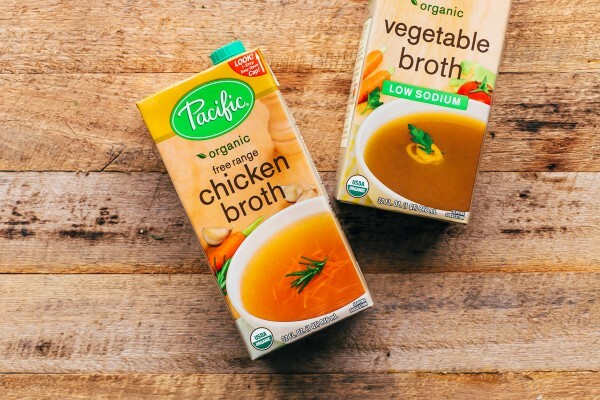 I feel bad saying that, because I love homemade chicken stock and truly think it makes a huge difference. In an ideal world, I would probably make my own – but in my defense, I just go through way too much of it on a regular basis. I make a lot of soup. I try to keep two of these quart containers (I like Pacific brand and Trader Joe’s brand) on hand in my pantry, because that is generally the most that I’ll need for any specific recipe – otherwise, I’m bound to forget it at the store. 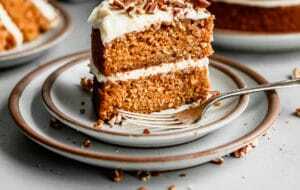 This is probably my number one pantry essential! I don’t know what I would do (or cook?) without extra virgin olive oil. Again, I go through an alarming quantity of olive oil, because I use it for salad dressings, cooking, roasting, baking, and finishing. Turns out about 70% of the extra virgin olive oils that you find at your grocery store are not actually extra virgin olive oil – so the type/brand that you buy is pretty important! I usually have at least two bottles of olive oil in my pantry all the time. One for more everyday cooking (I love, love, love California Olive Ranch brand – again, not sponsored) and a higher-quality (pricier) olive oil for finishing. Great and mediocre extra virgin olive oil is night and day in terms of flavor. Spring for the good stuff! This is by far the most random thing on today’s list, but I love English muffins! Seriously, love ’em. I’m high-maintenance and only like one brand though. Yes, literally, ONE brand and that is it. Again, not sponsored, I just am obsessed with these muffins and have been for years and years. 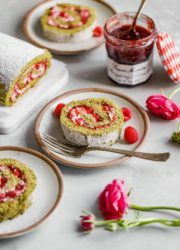 They’re really healthy, made with incredible ingredients, fill me up, and make for really easy breakfasts too! You can find them in the frozen bread section at most Whole Foods locations. 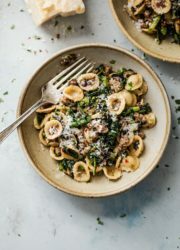 As a self-described pasta lover, I don’t think a day goes by when I don’t have a box of dried pasta in my pantry – both whole wheat and regular. I can’t live without it. 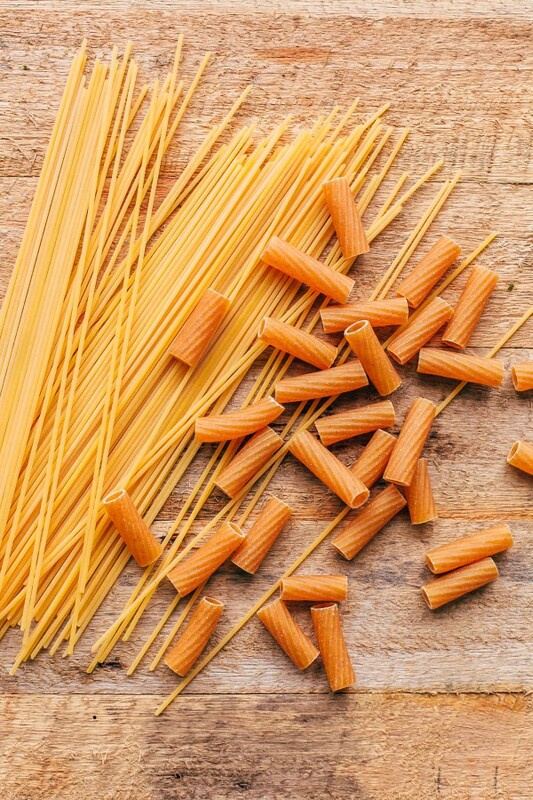 If you’re looking for pasta recipes, try these. Another item that I’d never be caught without in the kitchen! So, so important for building flavor in so many dishes. If all else fails, I grab an onion, can of tomatoes, some butter (ugh, I FORGOT BUTTER ON THIS LIST TOO! ), and make a batch of Marcella Hazan’s tomato sauce for dinner. Oh my god, so good. Please make that sauce. Ok, your turn! 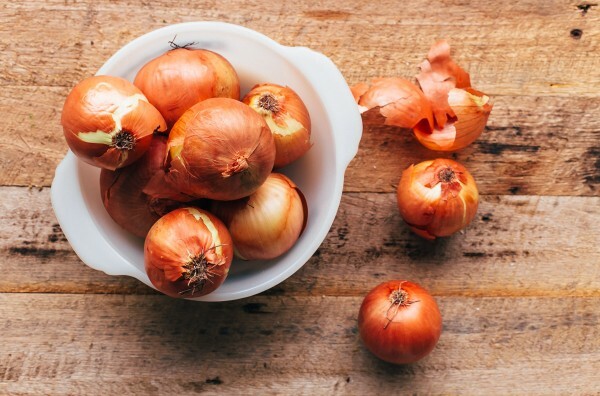 What is the one thing that you’d never be caught in your kitchen without? I’m nosy and want to know! Explain the vented garlic container. What does it do?Loved this list. It allows air to circulate, so moisture doesn’t accumulate (leads to soft cloves or faster spoilage)! I have a Meyer lemon tree in my backyard, during the winter we get a huge amount of these gigantic lemons. I take a lot to work and give them away to family and friends. But I also keep them for myself. 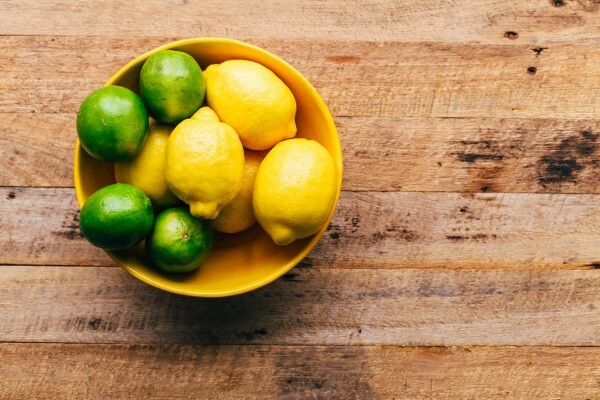 I love marinating, dressings, baked goods…I looooove my lemons! And thank you for turning me on to Food For Life English Muffins, I had no idea! I’m going to look for them for my English muffin breakfast sandwiches. I mix eggs and spinach bake it as a casserole, cut 6 rounds out with a biscuit cutter, add cooked bacon and Muenster cheese slices and freeze the sandwiches. 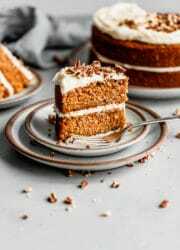 My husband loves them and its so easy! Now I can make a healthy English muffin choice! Ohh!!!! I wish I lived in a place where I could have a lemon tree (Chicago is not ideal, HA!). That was be amazing. 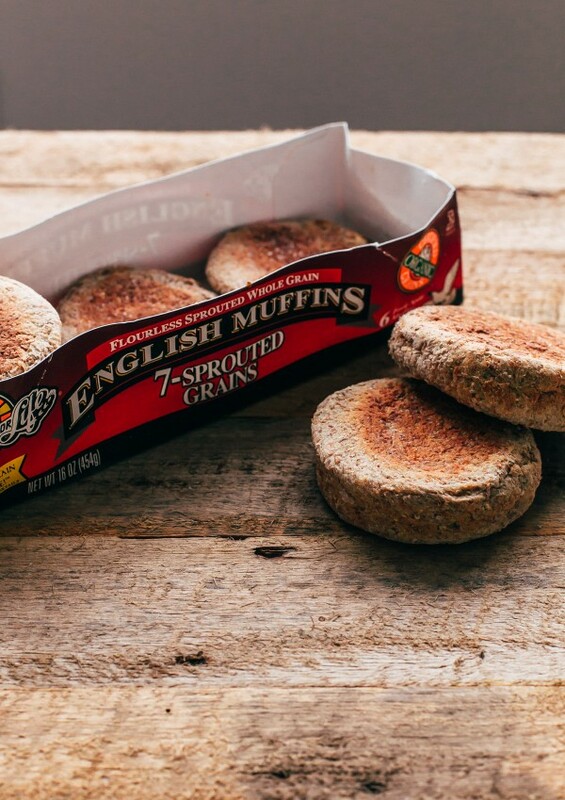 Look for the English muffins in the freezer section of Whole Foods or other natural grocery stores. I can occasionally find them at some generic stores, but not often! Hope this helps! Wow. english muffins made the cut by not milk?! Did you see my addendum at the top? I forgot! I agree with this list! I love these English muffins too! I haven’t been able to find them in a few weeks! Love the list! 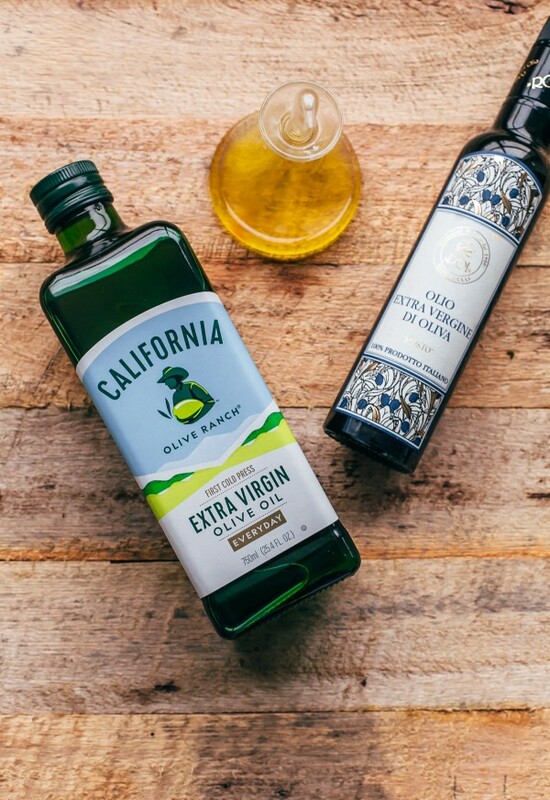 I have read that the extra virgin olive oil unfiltered from CA is great and that the product is much more likely to be what it says it is, because of the strict rules there about labelling! What happened to tea???? Yes, I read the bit about forgetting butter and milk? But what about yoghurt?????????????????????????????????????? 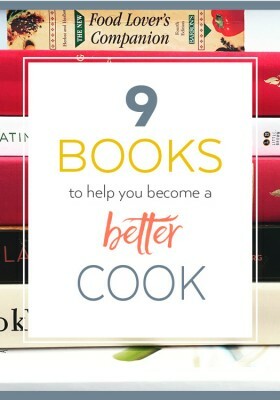 What a fun idea, I love this list! One thing I ALWAYS keep in my fridge is buttermilk! I use it in almost all of my baked goods!! Haha! Only this specific brand (and in hindsight, I think I should have said eggs or milk!). I love peanut butter too! 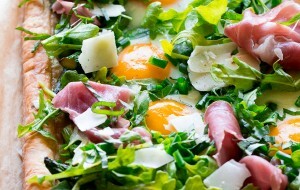 Yes to all except the muffins – must have eggs in my food cupboard – so versatile cannot do without! I’m not sure I could narrow it down to 10 things either! Great list! Such a hard list to write! Mine would be olive oil, garlic, lemons, dried pasta, tinned tomatoes, parmigiano/grana padano, butter, honey, soy sauce and ginger! So close to mine! 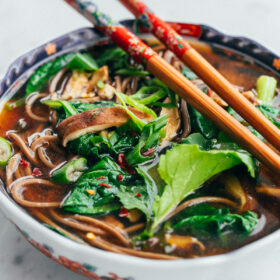 🙂 Soy sauce is sort of a must for me too! OK – this is impossible. Well done to you for your 10, lots of mine are similar. 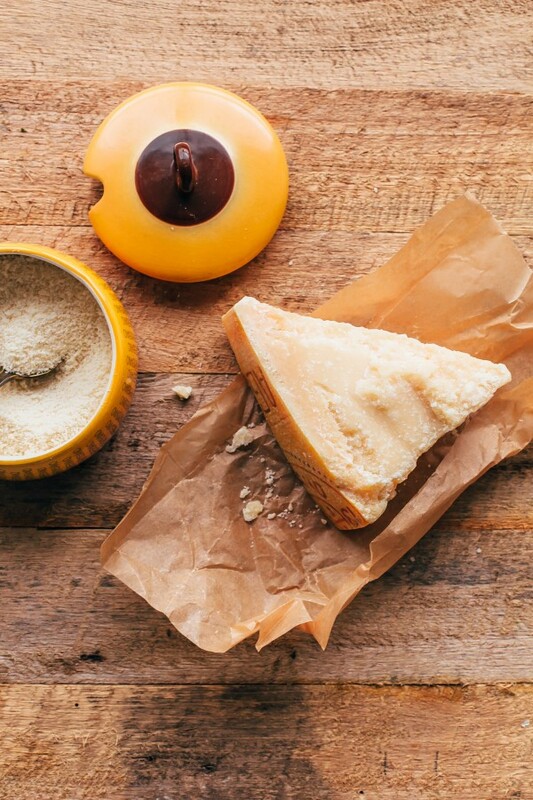 Question – what do you do with the parmigiano reggiano rinds? I hate throwing them out but not sure how to use them. Thanks!